Spend the day with your family, friends and loved ones over Easter Brunch. 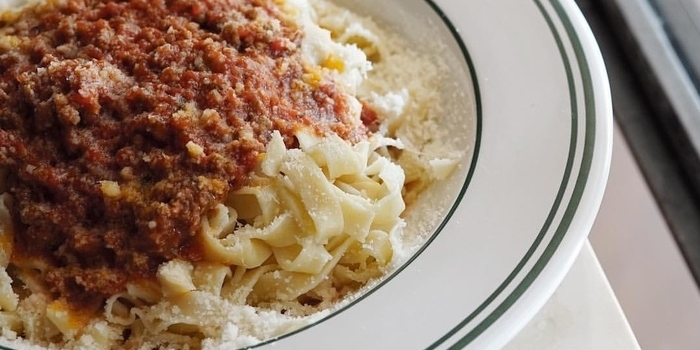 There will be special menu that includes Italian favourite dishes. Early bird special will only be Rp 299,000++/pax, including all you can eat buffet and non-alcoholic drinks. You can add on Rp 150,000++ for free flow in-house red/white wine. You can also enjoy buy 3 get 1 free. Yes, it's true! Simply use promo code AMHHJKT to enjoy up to 50% off your food bill only when you book via Chope app/web. Ambiente is an Italian word for "environment" and our beautiful restaurant setting is where you will relax and relish dishes made of fresh, quality ingredients served impeccably with warmth and spirit in a room that features a casual-rustic interior, a venue considered by gourmands as one of Jakarta's most authentic dining experiences. Ambiente represents a familiar name in refined Italian cuisine yet with a vibrant new face that is today the talk of the town. 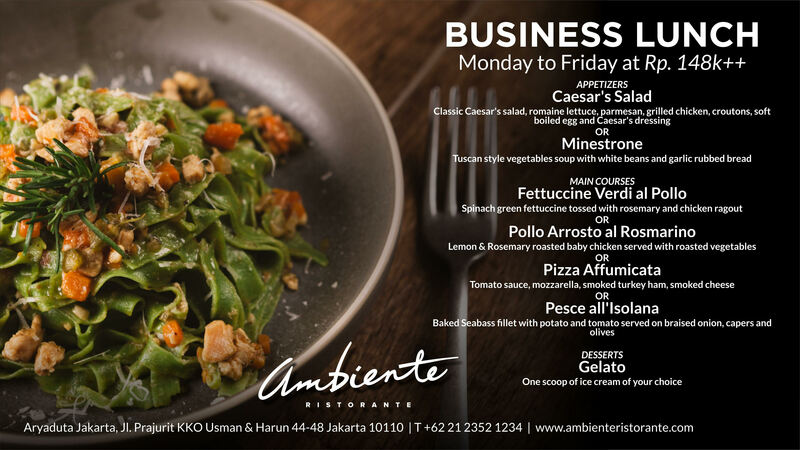 Located in the heart of Jakarta, Ambiente is an all-to-love dining spot, an Italian ristorante par excellence with rustic sophistication and upmarket ambience for what could be a quiet tete-a-tete lunch or a group dinner. 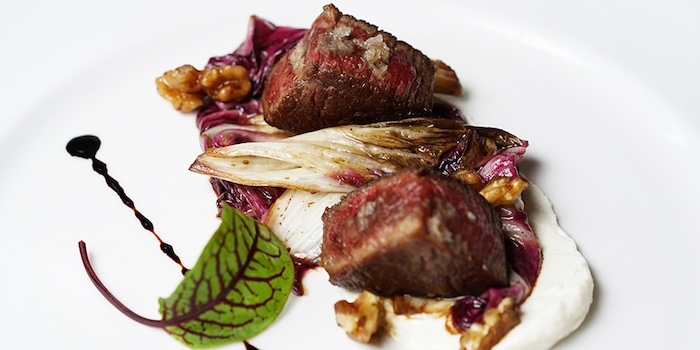 Presided over by their recognized Italian Executive Chef and his talented team, Ambiente is all about savoring true Italian recipes prepared with exceptionally high standards. 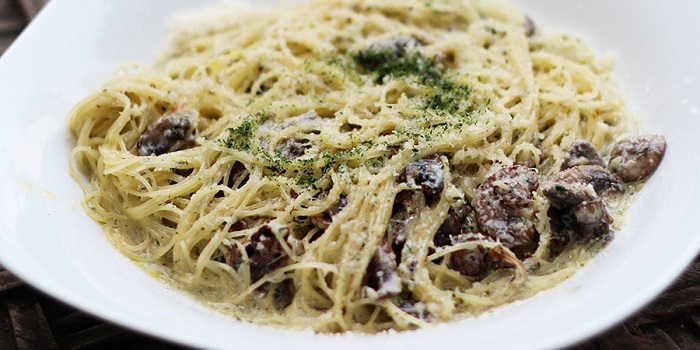 Enjoy set menu lunch only for Rp 98,000 nett. Enjoy 30% off on food only with minimum purchase Rp 300,000 before tax and service. Wondering what to do with your Chope-Dollars? 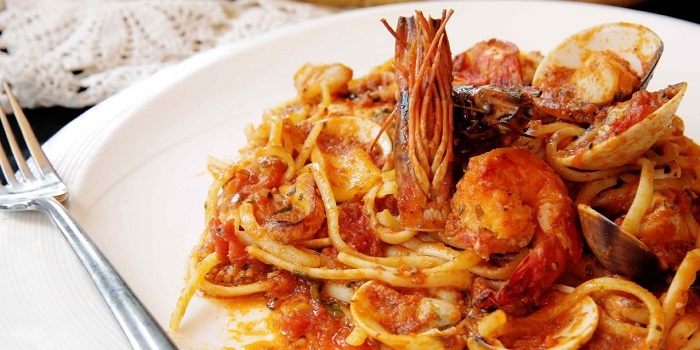 Redeem them for dining vouchers at Ambiente Ristorante worth Rp 100,000, Rp 200,000 and Rp 300,000 here. 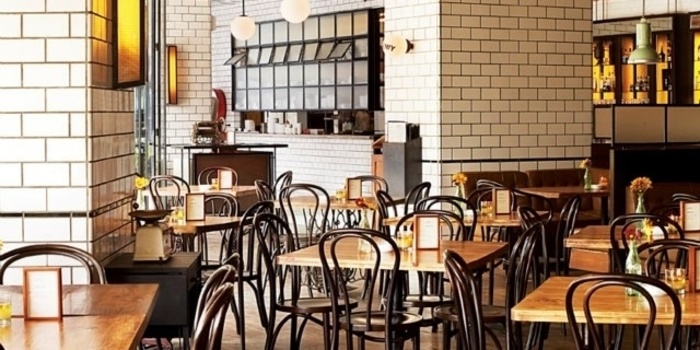 Chope-Dollars are loyalty points earned by diners when they book and dine at restaurants via Chope. Click here to find out more.